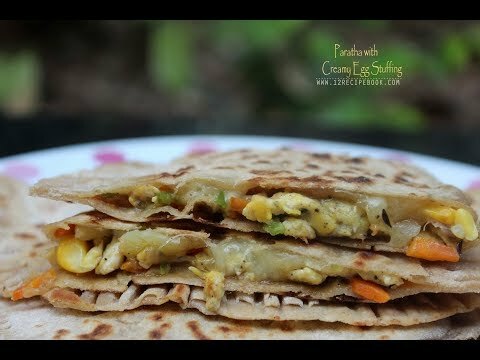 Stuffed paratha's are delicious with no doubts. Aloo paratha, pizza paratha, Mughalai Paratha, Gobi Paratha are some of the stuffed paratha recipes listed in my blog. Do checkout it in my BREAKFAST category. 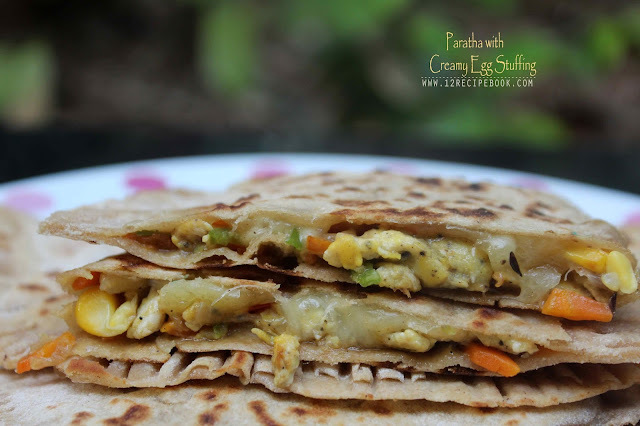 Here is another paratha stuffed with creamy egg filling. Try it out and don't forget to leave your feed backs here. For preparing the stuffing; heat a pan with oil; splutter cumin seeds. Add onion and saute until golden in color. Add garlic and green chilly; saute a minute. Add tomato and saute until mashed. Add carrot and sweet corn; saute for another two minutes. Now move all this mix in to one side of the pan. On the other side; add two eggs along little salt and pepper powder. Then mix with the other side and combine. Add flour, salt and pepper powder; mix well. Add milk and cook for a minute. In a bowl; mix wheat flour with little salt and hot water. Divide the dough in to four equal balls. 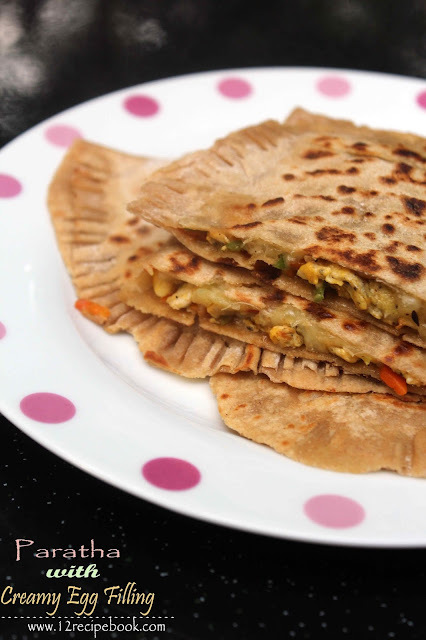 Take a ball and roll in to thin paratha by dusting with flour. On the one half of the paratha apply a part of filling by leaving the edges. Spread some grated mozzarella on top also. Cover it with another half and tuck the edges. Stick them well by marking with the help of a fork. 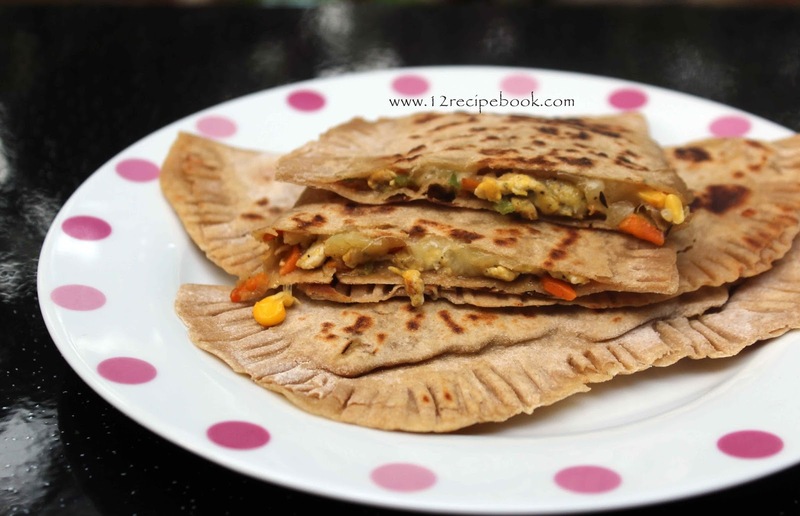 Cook this prepared paratha on a hot tawa by applying little oil on both sides. Press gently to cook even. Serve them hot in side with raitha or pickle.